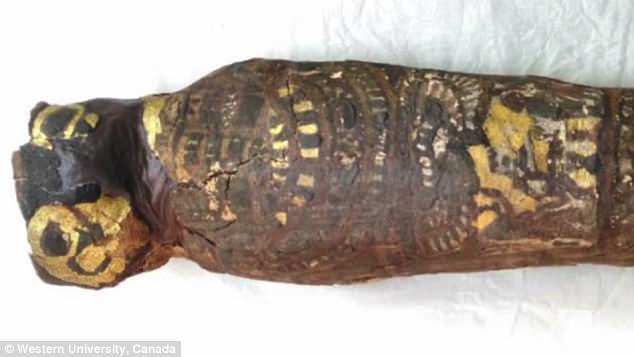 2100-Year-Old Egyptian ‘Hawk’ Mummy Turns Out To Be A Child. The Maidstone Museum in the UK has an unusual Egyptian mummy dating from the Ptolemaic Period in its collection, where it was originally listed as a mummified hawk. A CT scan in 2016 revealed it was actually a human fetus, but the scan lacked details. The small body is hidden inside a plaster coffin decorated to look like a bird. Mummified animals aren’t unusual. Archaeologists have uncovered ancient Egyptian mummies of snakes, cats, crocodiles and dogs. But only eight mummified human fetuses have been found.